Show your love for naval history today with this comprehensive map of Cornish Shipwrecks. This incredibly detailed decorative scroll documents every known shipwreck to happen off the Southwest coast. 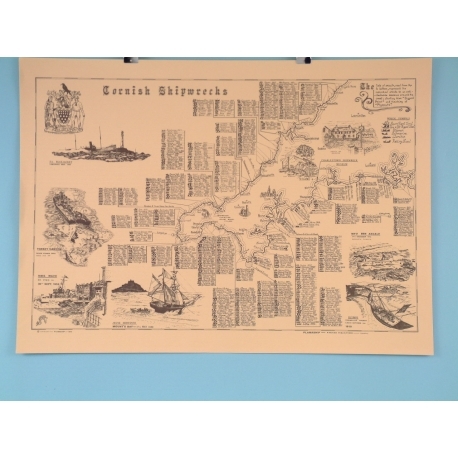 An undoubtedly informative piece of home décor, this poster is also covered in detailed illustrations that will teach you more about the Cornish countryside, as well as some famous shipwrecks. 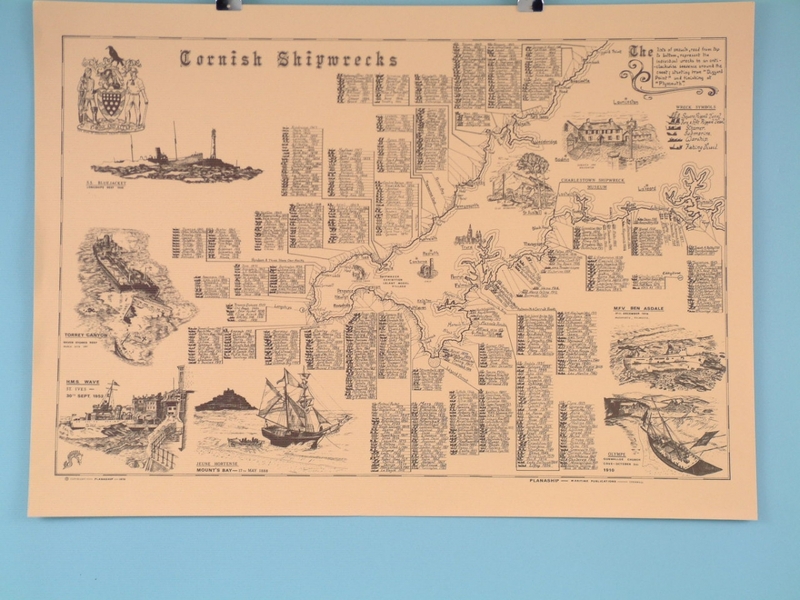 The high level of detail in this scroll in unmatched by similar items, meaning it is sure to give you a more comprehensive overview of Cornish naval history. Pick one up today and show off your great love for the sea.